Feel free to comment below on any individuals and teams that I may have missed. 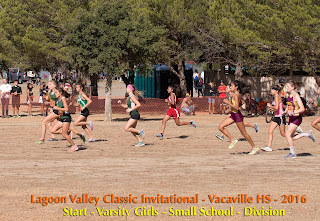 Lots of schools will be competing this Saturday and many are from out of state. 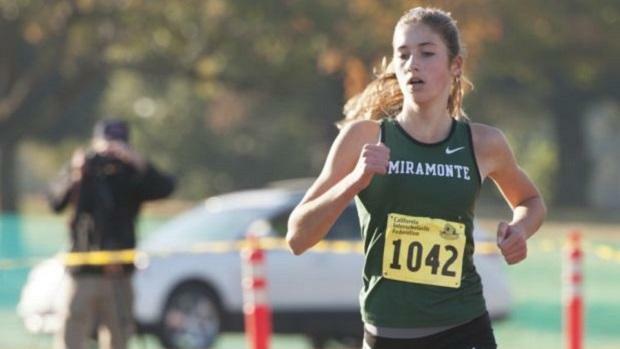 Do you know who will be the biggest surprise this Saturday as an individual or team? Who is the biggest favorite in the entire meet? 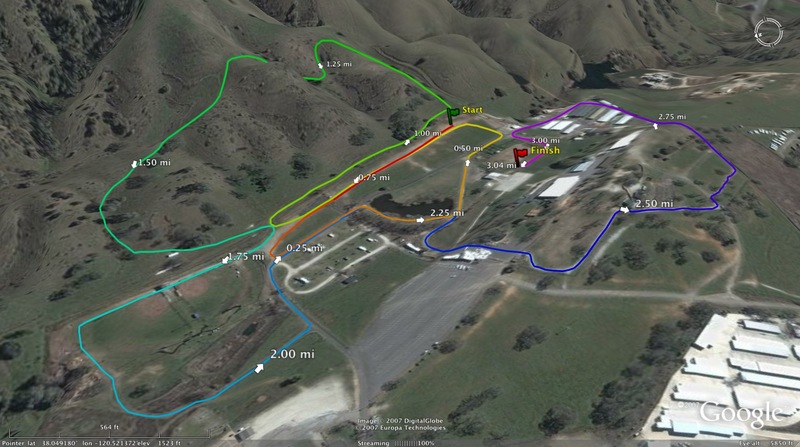 What race are you most looking forward to watching? Goals for this Saturday? 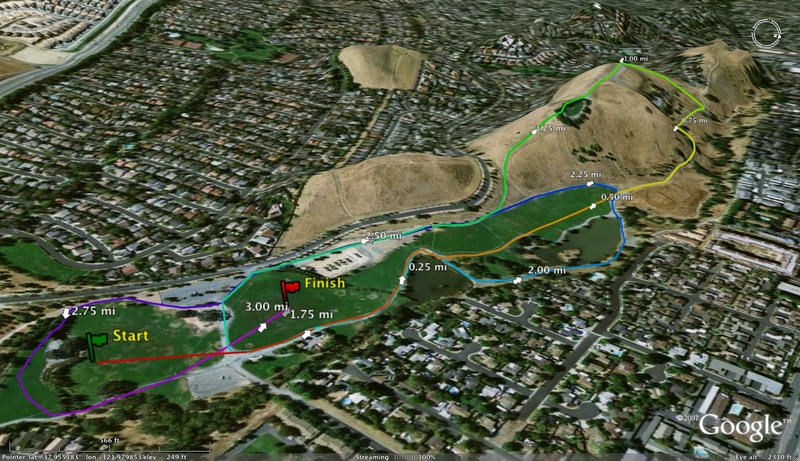 As many of you already know, Toro Park is serving as the primary base camp for overhead operations for the Soberanes Fire. 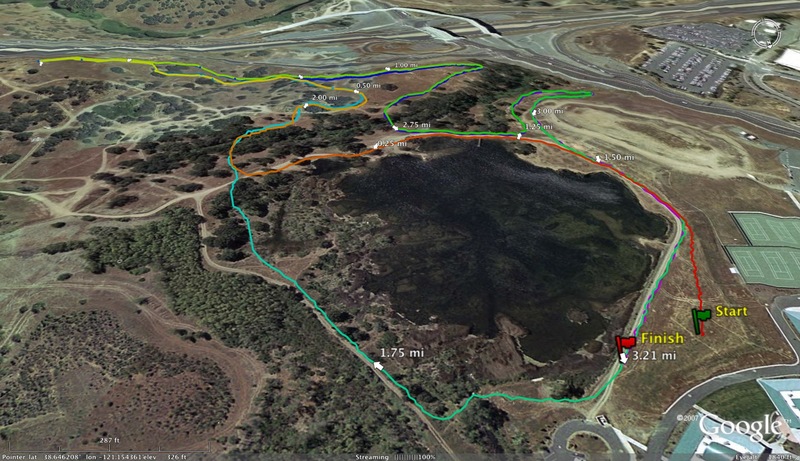 As a result, the park has been closed to all day use and special events. 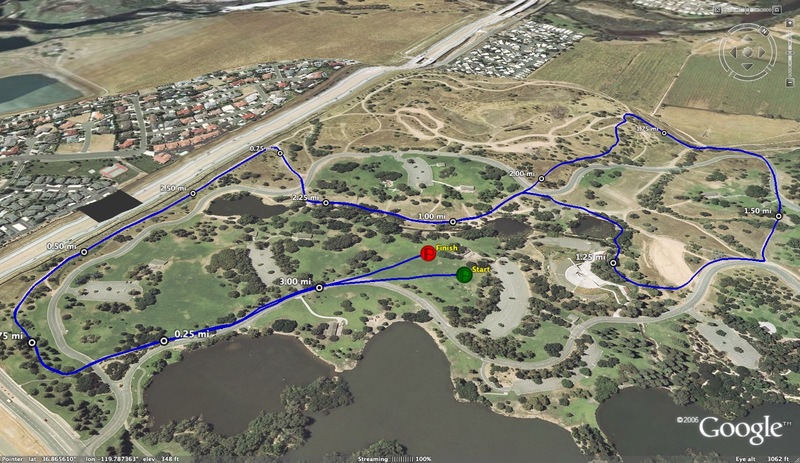 I had hoped that the park would be available in time for the Monterey Bay Invitational, but it appears that will not be the case. In order to spare any of you the hassle of scrambling for an alternate meet last minute, I feel it is prudent to announce the cancellation of the 2016 Monterey Bay Invitational. 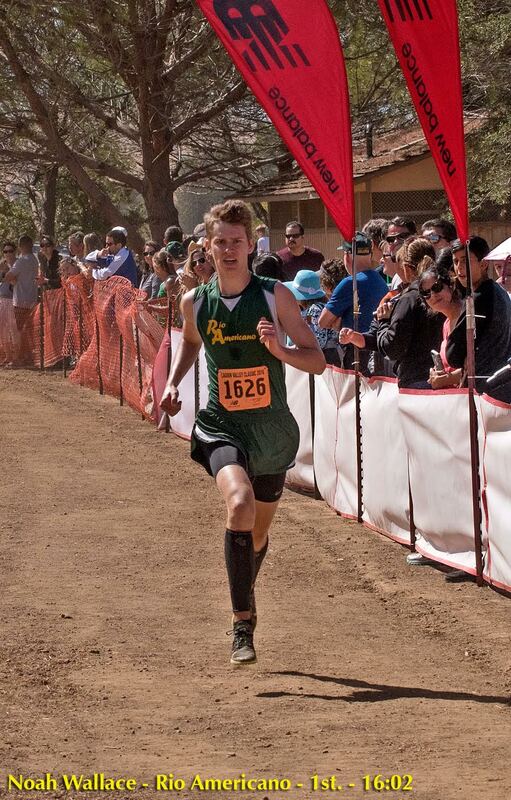 It is truly disappointing to have to do so as there are currently 76 schools registered and already, even with only 22 entries submitted, as many as 250 runners entered in some of the divisions. 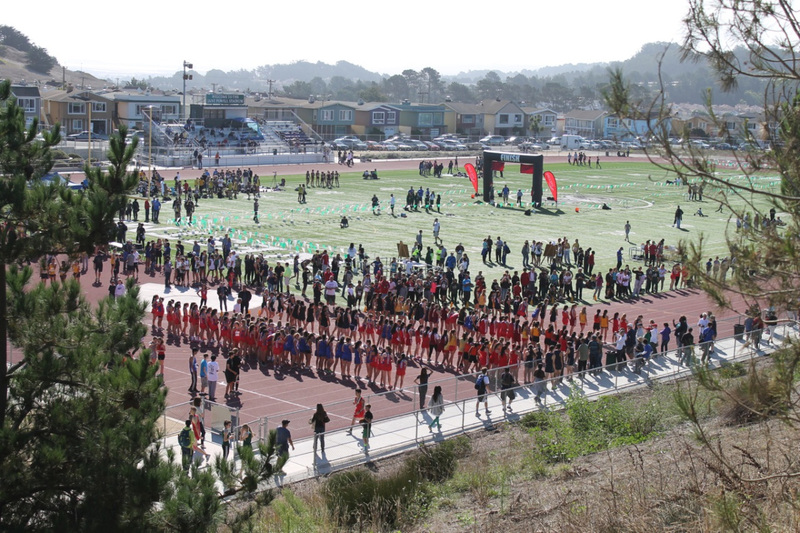 It is an honor and a privilege to host each of you each year at our meet and we hope that you will return next year. if you have any questions feel free to email, text, or call me. Live Oak junior Kaylah Grant (photo on the right courtesy of Dan Bingham) finished the 1st Varsity girls race in 14:00 which broke the previous course record of Cate Ratliff at 14:03 in 2014. Jennifer Akana of Lowell held the record before Ratliff at 14:05 in 1996 (possible this is true course record as starting line has moved forward since then). Shannon Rowbury of Sacred Heart Cathedral ran 14:14 as a senior in 2001 (confirmed by her HS coach, Andy Chan). 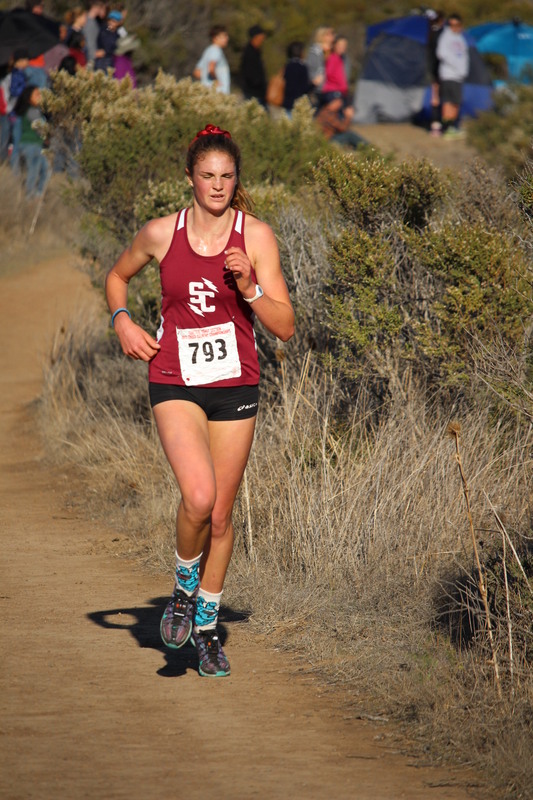 http://www.mitathletics.com/sports/w-xc/2016-17/releases/20160925cgbcar (Granada HS 2016 grad, Megan McCandless). Jenny Xu, Monta Vista '15 grad is also listed as #6 for MIT. If you have other Northern California alumni rolling in college, please send the information my way and I can share with everybody here. 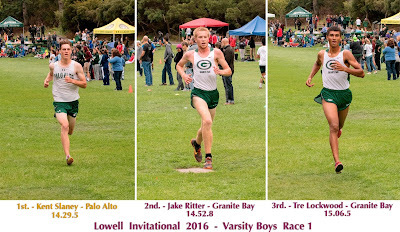 Also, from the Lou Vasquez Invitational at Golden Gate Park on Thursday, September 22nd, check out all the alumni that competed at that event. Results at this LINK. 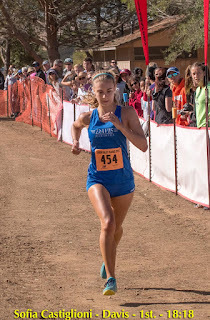 An interview with former St. Francis, Sacramento runner Lauren LaRocco after her 3rd place finish at Roy Griak leading the Portland Pilots to the team victory can be found at this LINK. 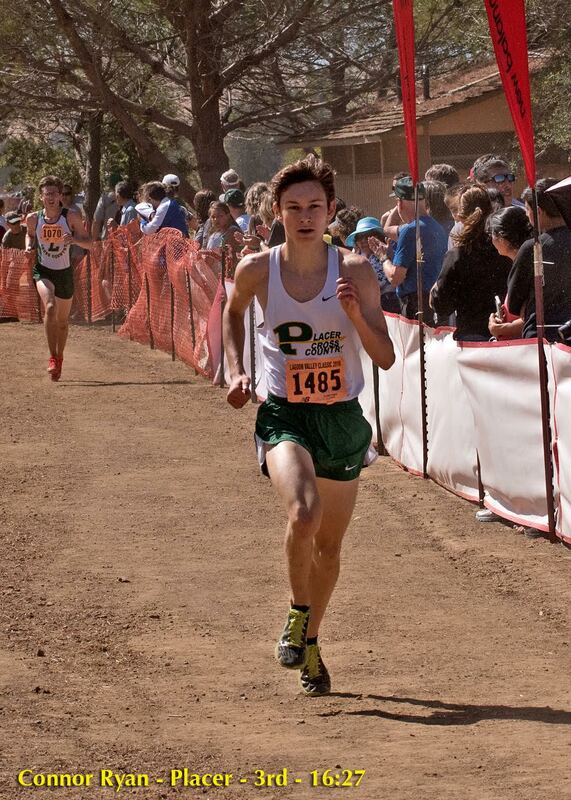 My first attempt at the North Coast Section Team rankings is posted below. 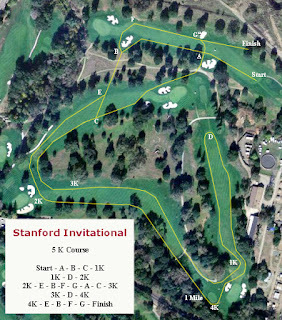 Things will become much clearer after the Stanford Invitational but what the heck, here you go sports fans. If you have any thoughts on any of the divisions, let's hear them in the comment section below. If I completely whiffed on a team in any of the divisions, please let me know. 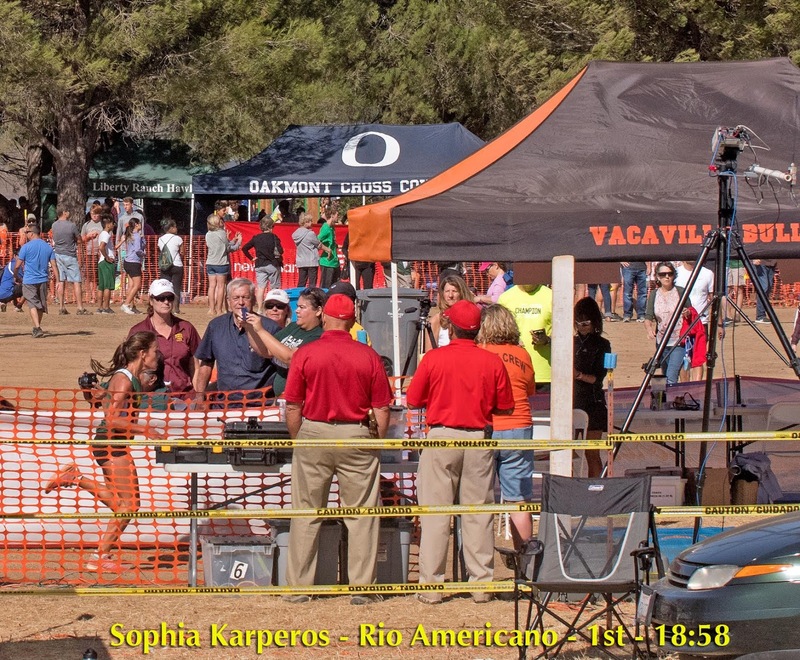 Coaches, the toughest results to track down are league meet results. After completing your league meets, please send me your results to albertjcaruana@gmail.com. I am working on locating the BCL West results from yesterday. I will post them as soon as I find them. 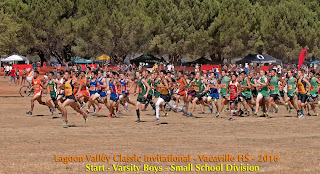 If you have other league meets that you want to share, please email them to me or post link below. 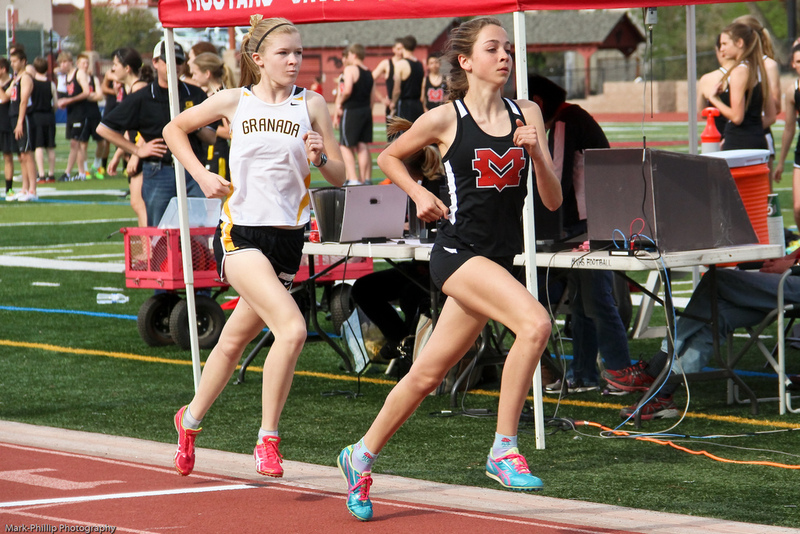 You can check out the meet preview at this LINK. 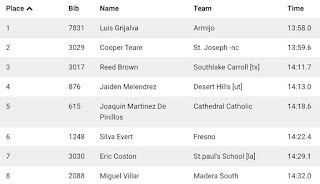 I found the meet record for the boys which is 12:04 by Eric Chavez of St. Francis from 1999. 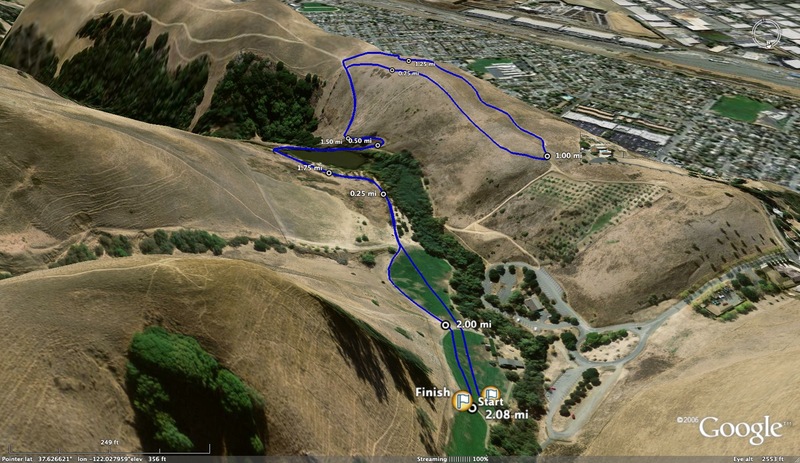 Does anybody know what the girls' record is for the Westmoor HS course? Today is the one year anniversary of the passing of former Healdsburg HS and UC Davis runner Sarah Sumpter. She fought courageously against an eating disorder and brain cancer and in her brief life, she left quite an imprint on a lot of people. Among them was the coach who recruited her to UC Davis, Chris Puppione, who penned this poignant post after her unfortunate passing. This BLOG POST was posted today by former Saugus runner Brandon Jauregui who also had his own battle with cancer and was inspired by Sarah's grit and determination. 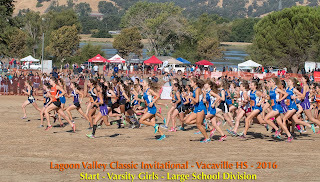 Check out which NorCal teams will be duking it out against some of the best individuals and teams in California. 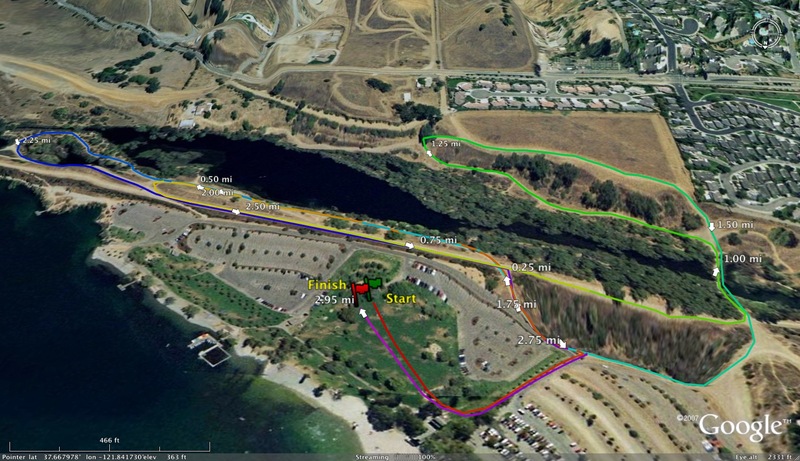 You can find the complete lists of races and teams at this LINK. An update on this story. The potential kidnapper has been captured in another state. A welcome conclusion to this episode all thanks to the brave response of Yong-Sung Leal. 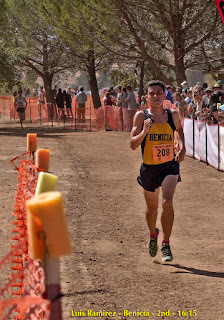 I know a lot of people really respected Leal for his accomplishments on the cross country trials and track but that respect went up immensely for me. Great dude. 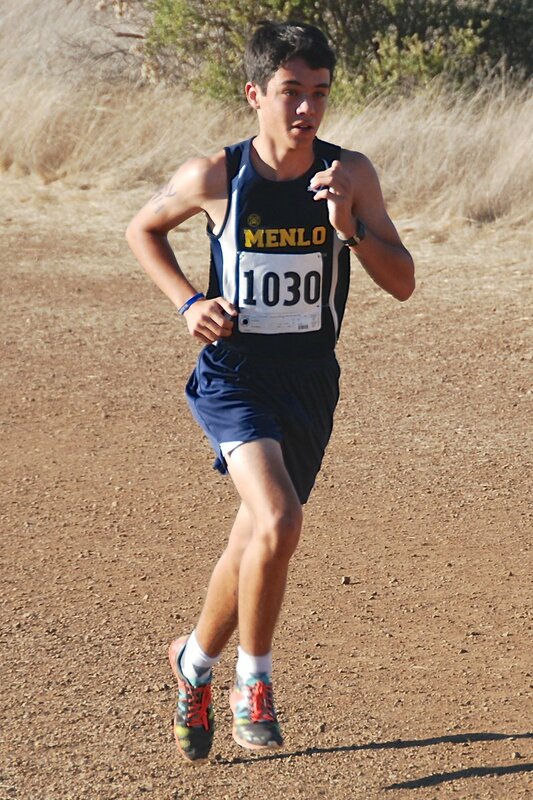 Leal is one of the legendary runners in NCS. 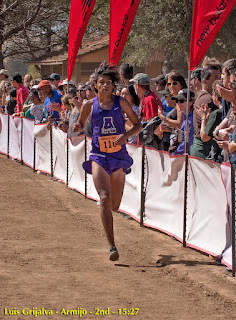 He had a best of 8:57.88 as a senior when that time was considered REALLY FAST. 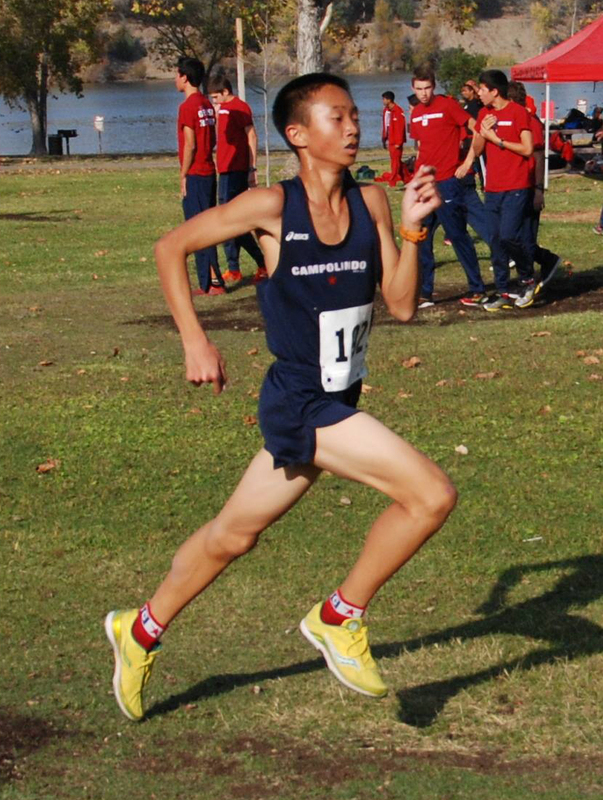 He also ran 9:00.49 as a sophomore. 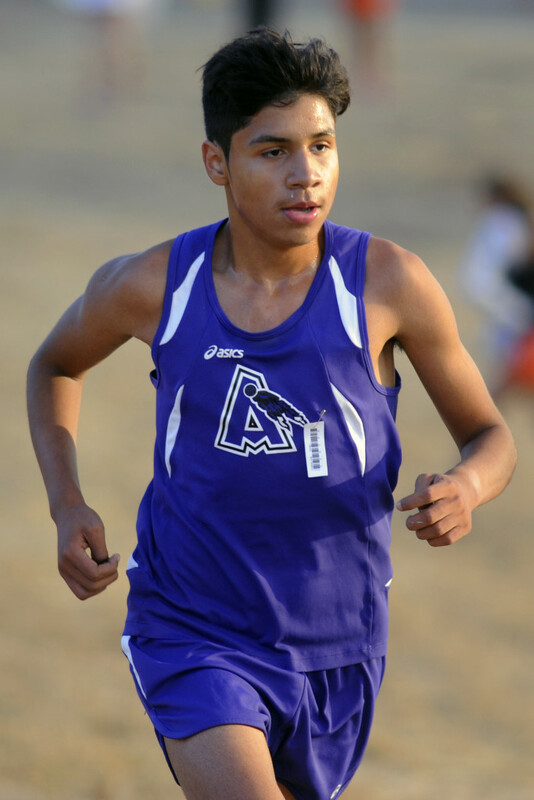 In cross country, Leal was a 2 time state champion as a sophomore and junior in 2000 and 2001. 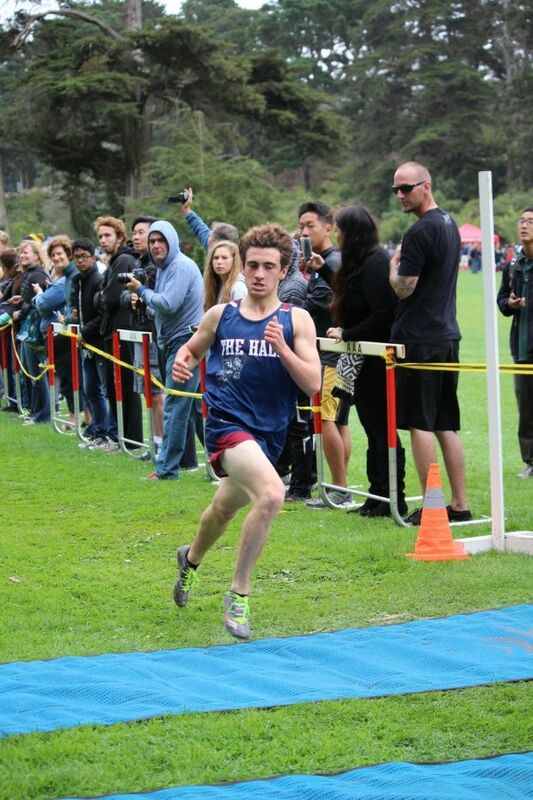 He still holds the Division II NCS record on the Hayward HS course with his 14:38 from 2001 when the course was not expertly pampered by Peter Brewer. If he wasn't considered enough of a badass already, Leal now makes the news by saving a woman from being kidnapped. 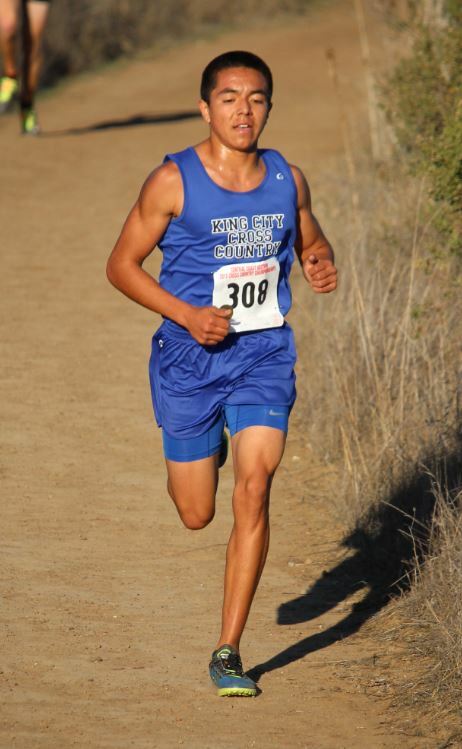 You can check out the newspaper article at this LINK. 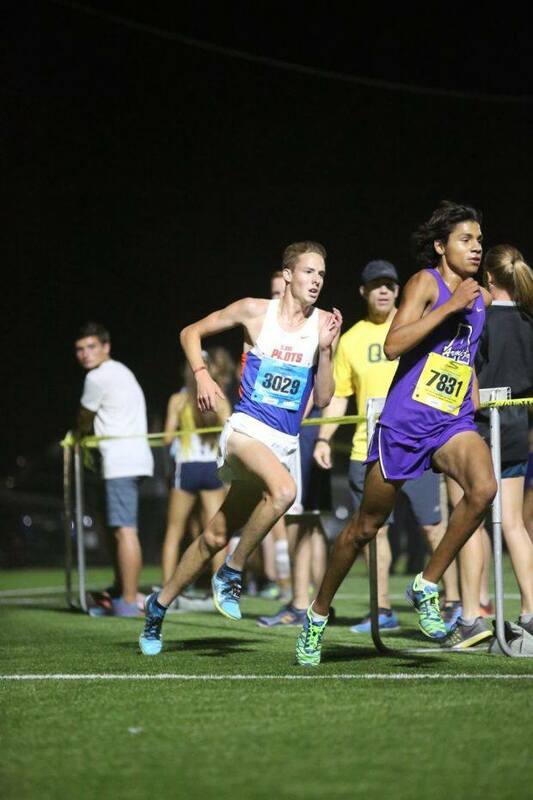 Outstanding as they (Luis Grijalva Armijo and Cooper Teare St. Joseph Notre Dame-photo courtesy of ca.milesplit.com correspondent Ben Crawford) are the only 2 runners in field to break 14 minute mark. 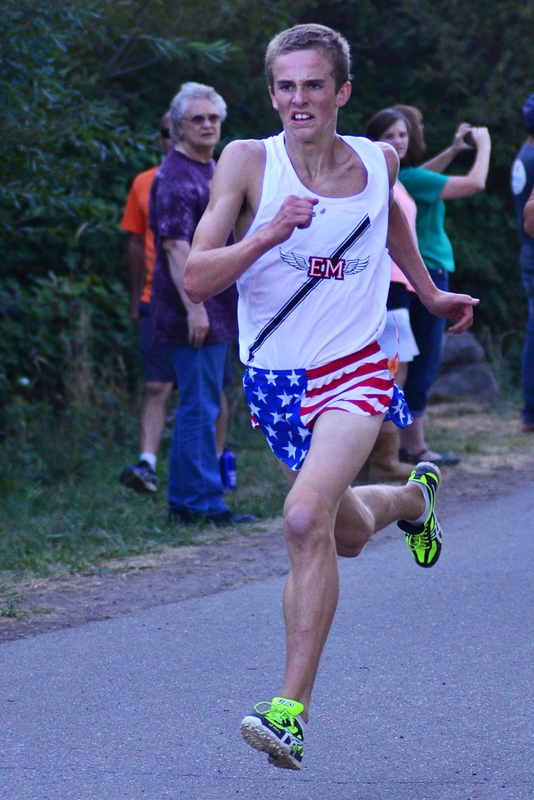 Reed Brown, 3rd place finisher, ran 4:04.73 on the track last spring. Also Kiera Marshall St. Joseph Notre Dame finished in 14th in 16:49.9, Elana Kamas Homestead 17:10.72, Rylee Bowen Sonoma Academy 17:27.6, Kaitlyn Williams Homestead 17:46.53, Kate Bowen Sonoma Academy 17:47.0 all in Sweepstakes girls race. 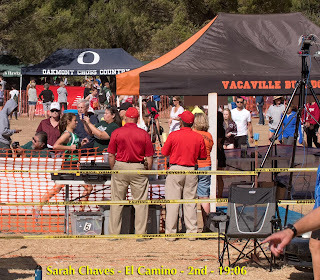 Outside of the Sweepstakes races, Sarah Chaves El Camino (SJS) 17:16.4 and teammate Alyssa Barnes 17:47.1. 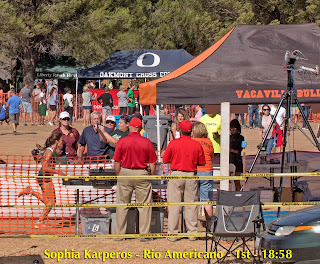 You can also check out the times and team scores for all competing Redwood Empire runners that includes a large contingent from Maria Carrillo thanks to Jim Crowhurst at this LINK. 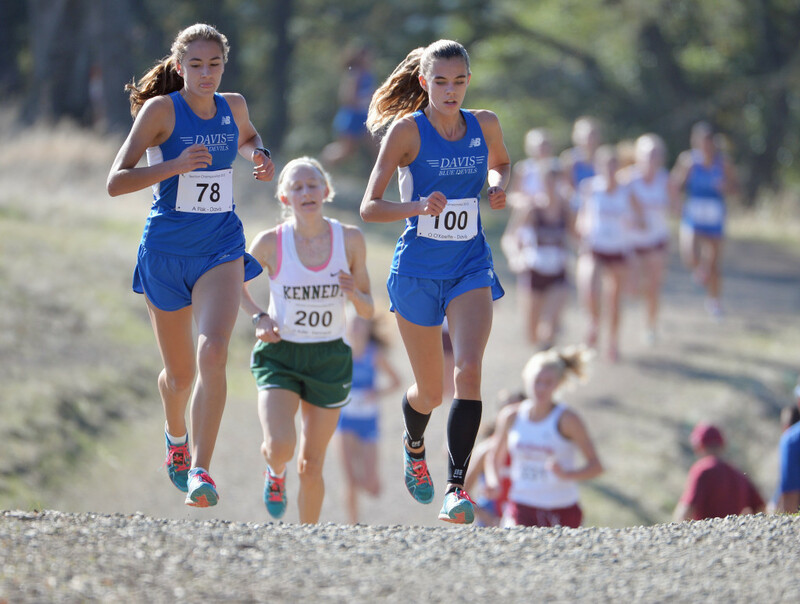 If you have any updates from today's meets, please add them in the comment section below. 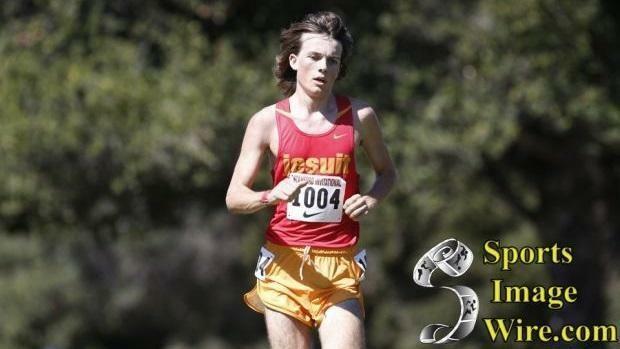 We will have interviews from the De La Salle Invitation (will post links after). 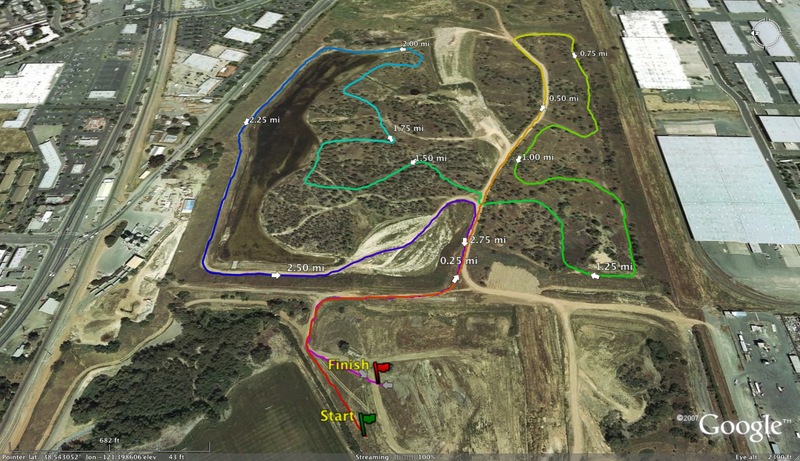 Course Map: Anybody have a map of this course? no teaching opening this year. 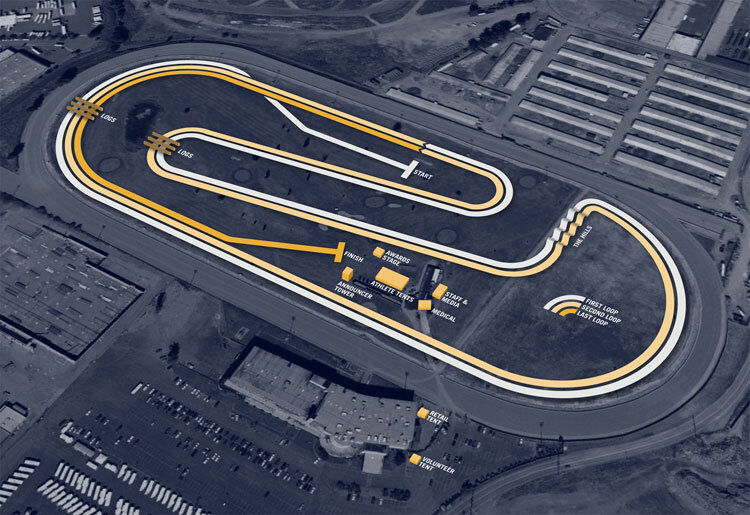 The 2017 season will have a new track and field facility which will be completed in October. Last year 300 students came out for Track and Field. 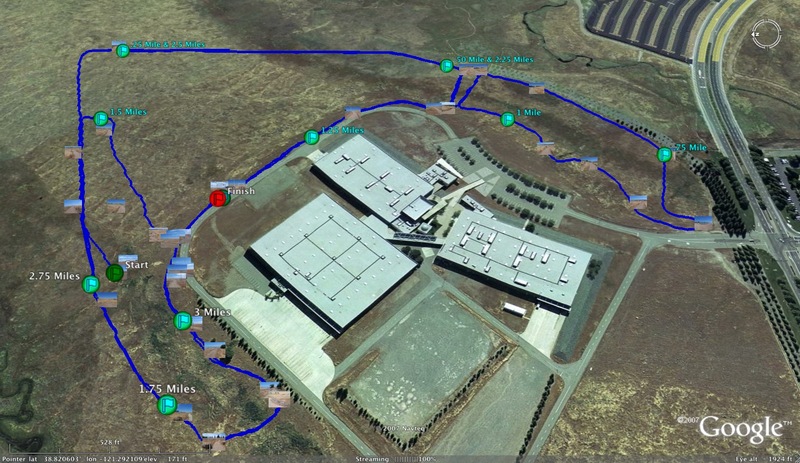 You can check out the preview at this LINK. Please feel free to comment on some of the other individuals and teams that will be competing this Saturday. A link to all the participating teams is included in the preview. 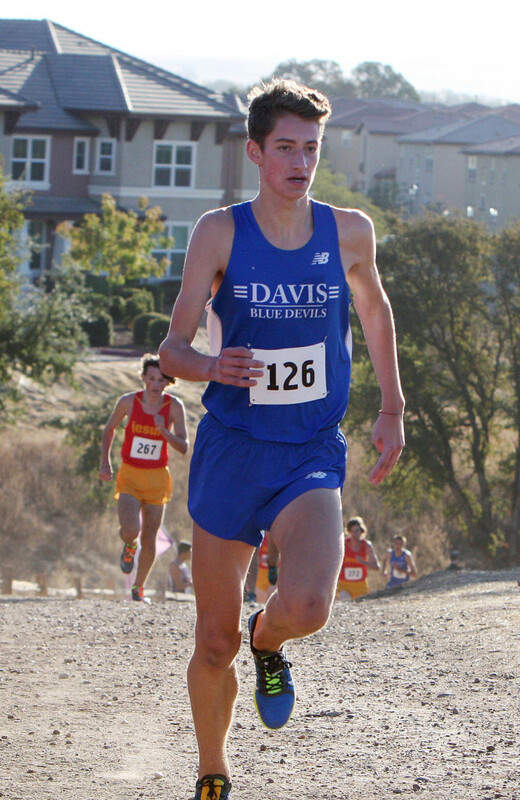 Last Saturday, Jesuit freshman Matt Strangio finished in 5th place at the Jesuit/Davis Jamboree running 15:28 on the 3.08 mile course. 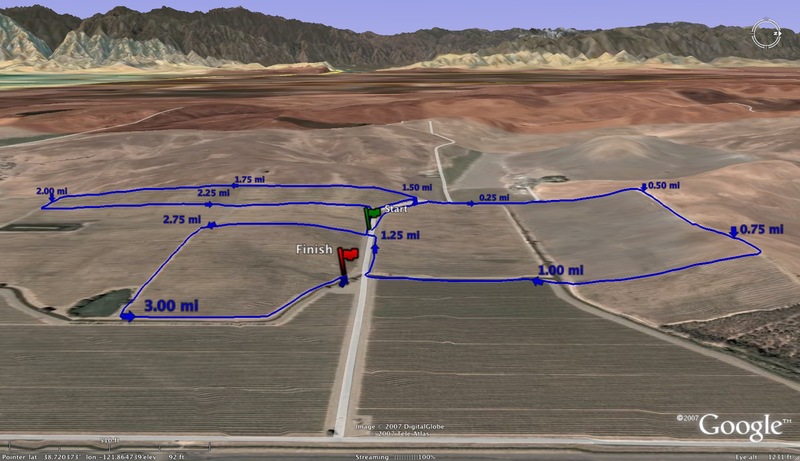 The video of the race is posted below. At the Lagoon Valley Classic, Strangio won the freshman race (seen on the left thanks to Thomas Benjamin) with a time of 11:12 on the 2 mile course. His dad Steve (below on the left) ran at Mission San Jose in the late 70s and was the NorCal Runner of the Year in 1978. 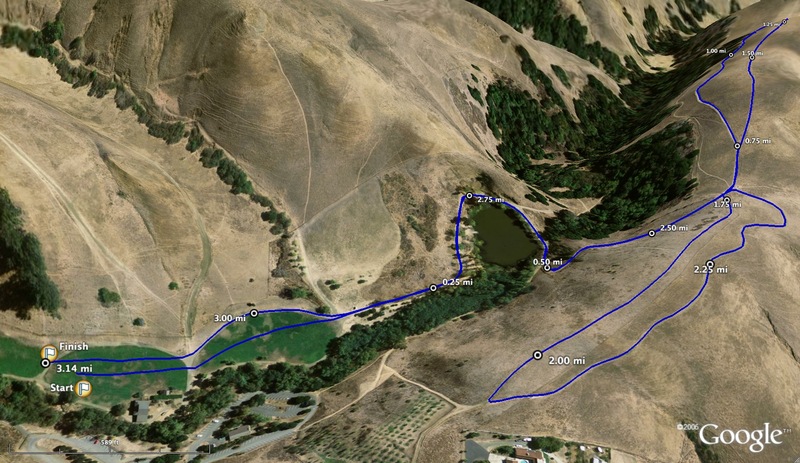 He ran 14:57.5 on the Crystal Springs course in 1978 at the NorCal meet. Mission SJ was the dominant XC program in NCS taking the Meet of Champions team title three years in a row from 1977 through 1979. In 2001, Strangio was inducted in the Mission SJ Hall of Fame. 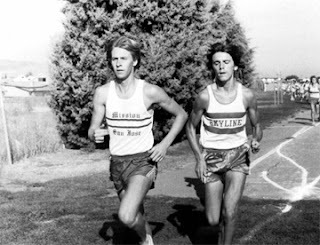 In the photo to the left, Steve is running alongside Tom Downs of Skyline at the Antioch Invitational in 1978. 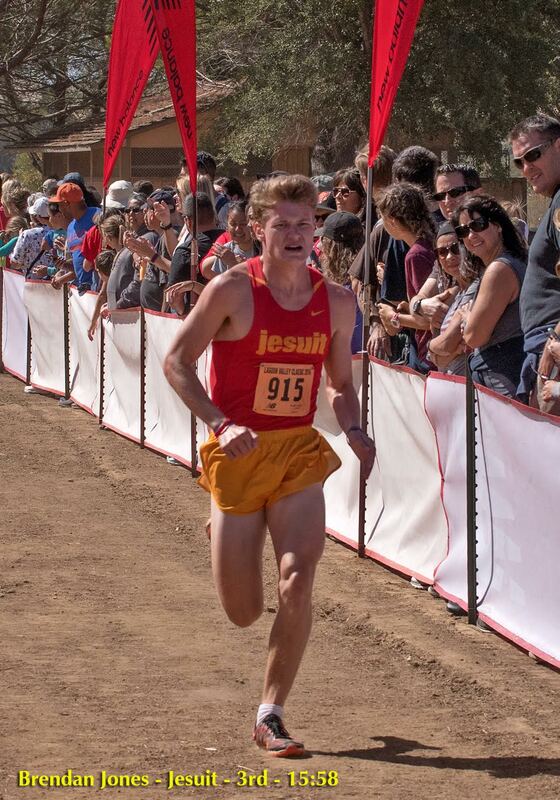 Tom's son Nick (9:13.87 3200PR) just graduated from Bishop O'Dowd in 2016. 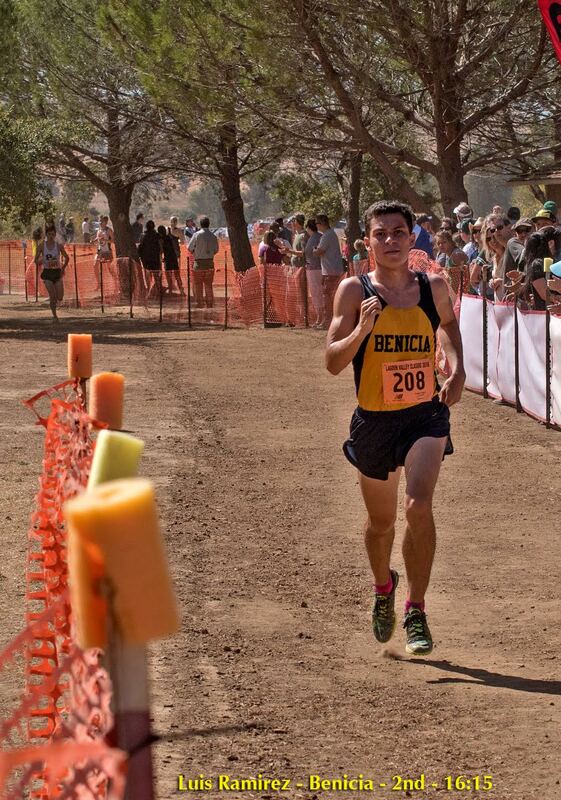 Feel free to comment on the most impressive performances from today. New individual and team rankings will be posted in the next week so if you have individuals and teams that belong in the top 10 in NorCal, speak up now or forever hold your peace. 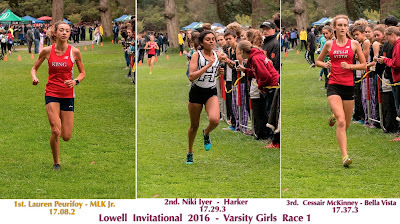 The first varsity race of the day should prove to be an exciting battle between some of the top teams from the North Coast Section as Campolindo and Maria Carrillo both bring deep and talented squads. 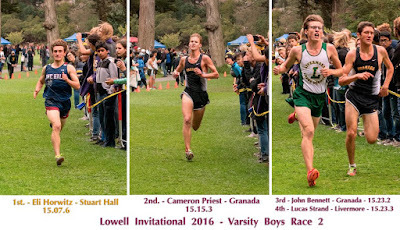 Ben Lawson is at the front for Carrillo and appears primed for a big breakthrough after some recent eye popping performances while Jared Yabu paces Campo, who will look to defend their team title from a year ago. 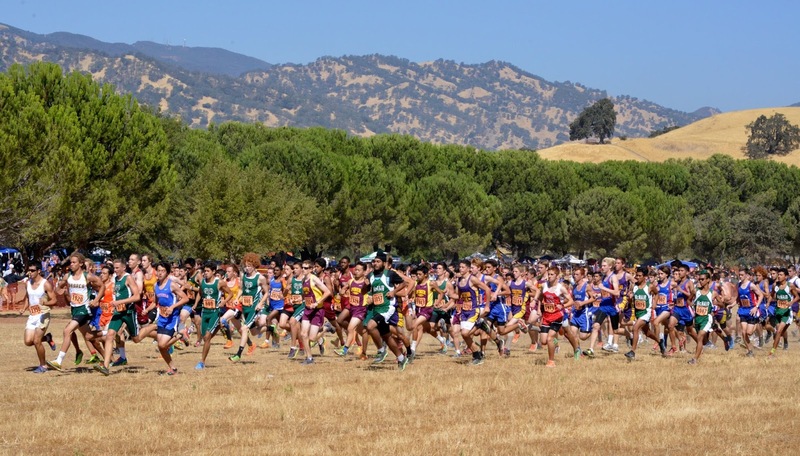 Individually Luis Ramirez of Benicia, Munir Kabbara of San Rafael and Colin De Julio of Vista Del Lago are all in contention to battle it out for the individual title. 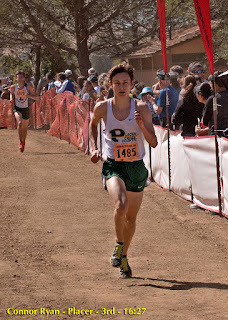 Last year’s winner Cooper Teare of St. Joseph Notre Dame will not be competing here but the pilots will still be running a strong squad led by Willie Mein to keep them in the hunt for a top 5 finish. 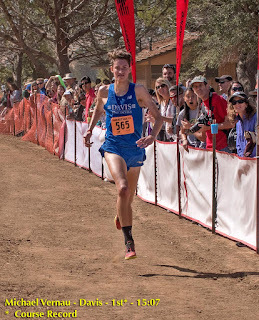 This race could end up being the most exciting of the day from both a team and individual perspective as the field is beyond loaded with talent. Nationally ranked Bellarmine College Prep is making the trip up from San Jose and they bring a ridiculously talented and deep squad lead by Meika Beaudoin-Rousseau. 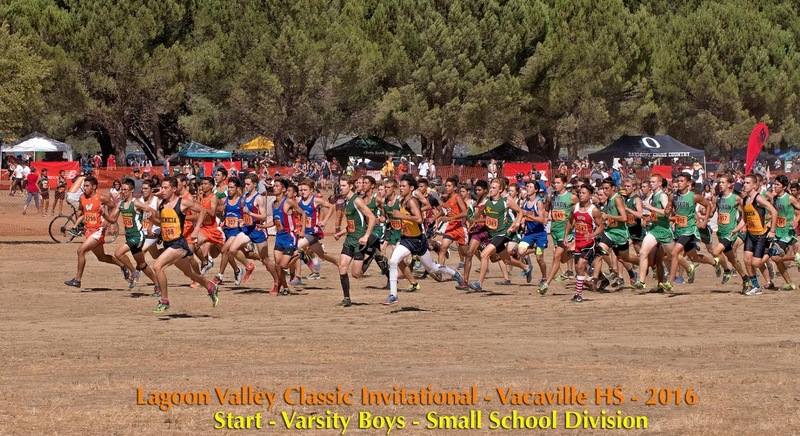 They will face off against a solid Monte Vista squad that has looked incredible so far this season. The mustangs feature a tremendous top 3 in the form of Tristian Miller, Nicolaus Vomund and Daniel Maneloveg and should give Bellarmine a tough test. 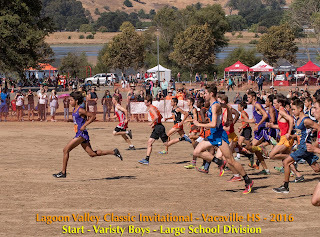 St. Francis of Mountain View, Dublin, and Clayton Valley all bring back a wealth of talent and they should factor into the team battle as well. 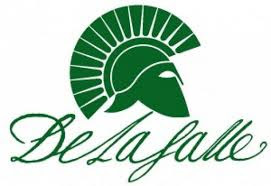 Isaias De Leon of De La Salle is off to a hot start so far this season and will be right in the mix to win the individual title after his recent breakthrough at the loaded Cool Breeze Invite. 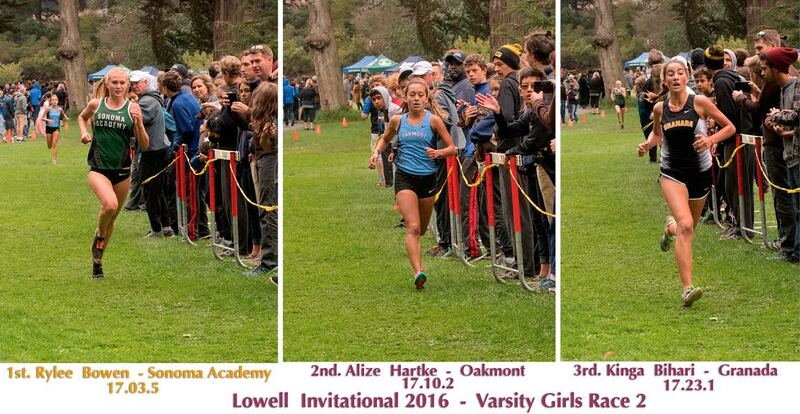 It looks like this is shaping up to be battle between strong squads from Bishop O’Dowd, Piedmont, Las Lomas, Maria Carrillo and Miramonte. 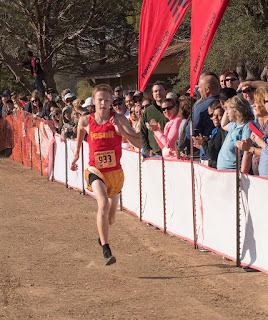 O’Dowd returns the majority of their team from last season and looks primed to take home their 4th straight team title here. Challenging them will be the defending NCS division IV champions from Piedmont, who also boast a great amount of returning depth. Las Lomas, Maria Carrillo, and Miramonte will also factor in the team competition here, with all three teams teams having had great starts to their seasons so far. 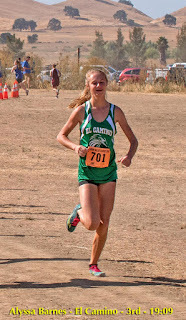 Individually defending champion Cassy Haskell of Miramonte looks to be the big favorite again this season but she will be challenged by Emily Perez of St. Joseph Notre Dame and Rayna Stanziano of Concord. 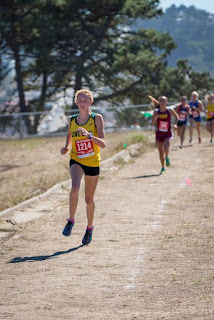 Hannah Fishlow of Miramonte should also be in contention to land a top finishing spot. 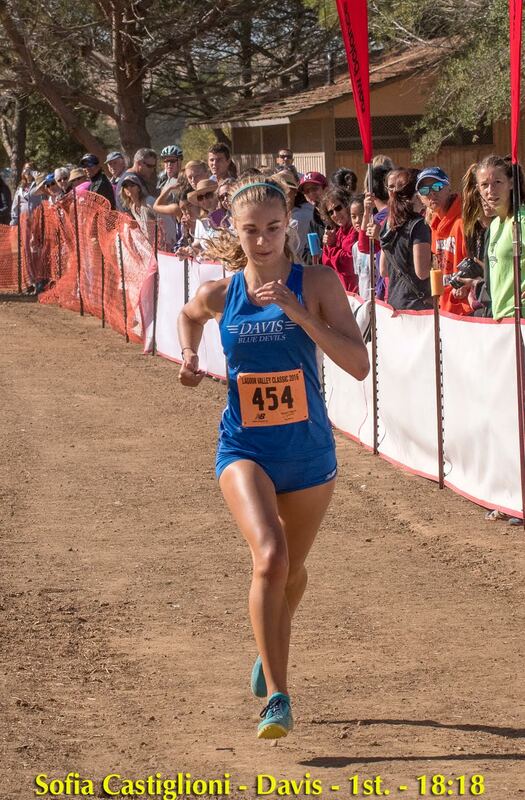 This race will see the debut of superstar freshman Isabella Fauria of St. Francis (Sacramento) who along with Sydney Vandegrift will provide the troubadours with ample firepower up front. 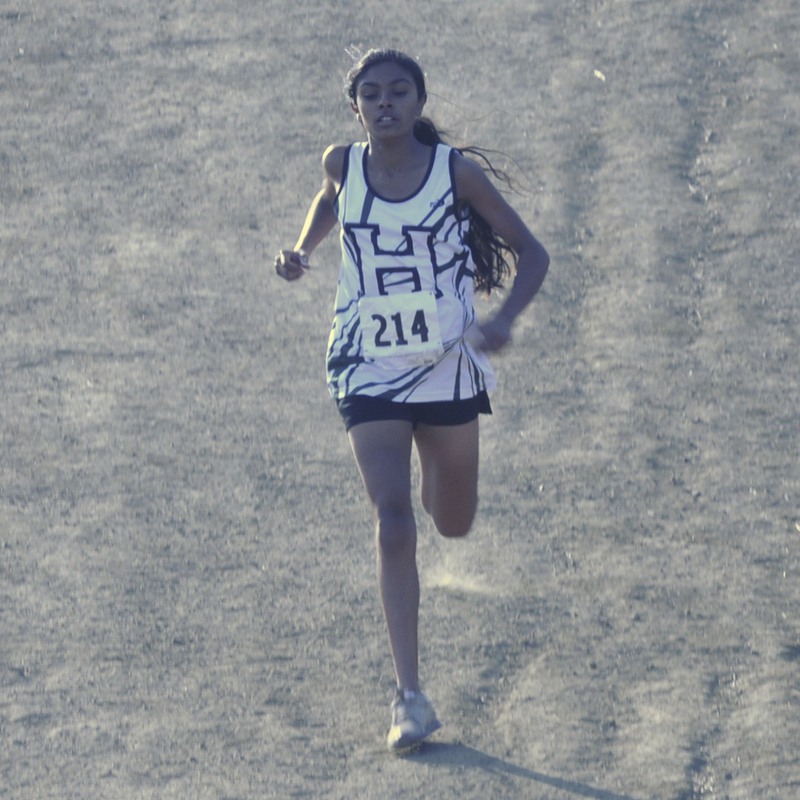 Fauria has been an age group sensation for quite a while and will look to step up against Homestead’s Elena Kamas and Lindsay Allen will also be battling it out up from along with Jaxin Woodward of Vacaville. 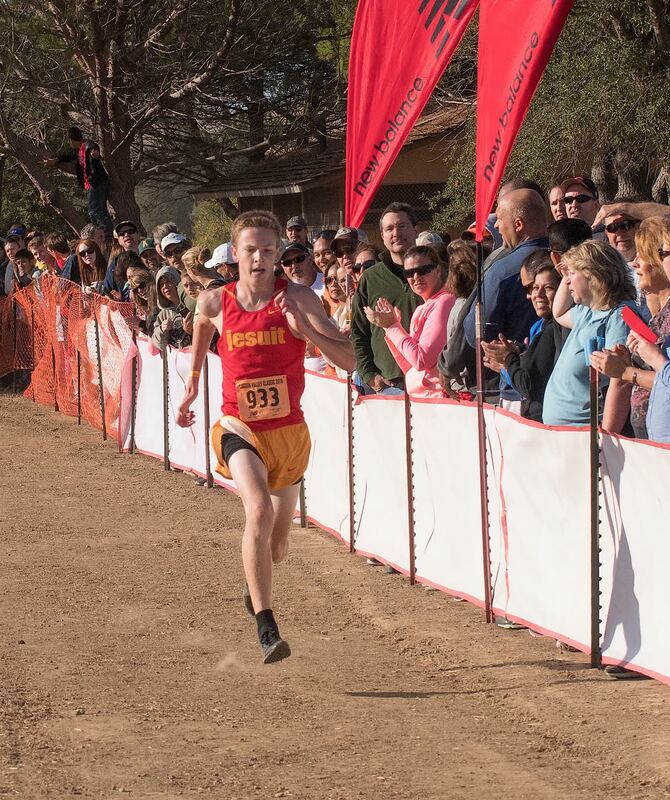 Despite competing shorthanded, Monte Vista looks to be in contention for the team title along with St. Francis and Homestead. CCS powers Monta Vista and Archbishop Mitty should be contenders as well. 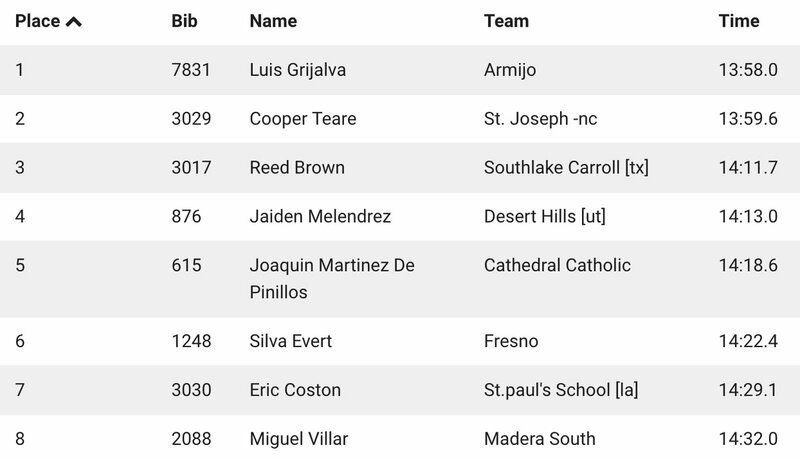 You can find results for the meet at this LINK. 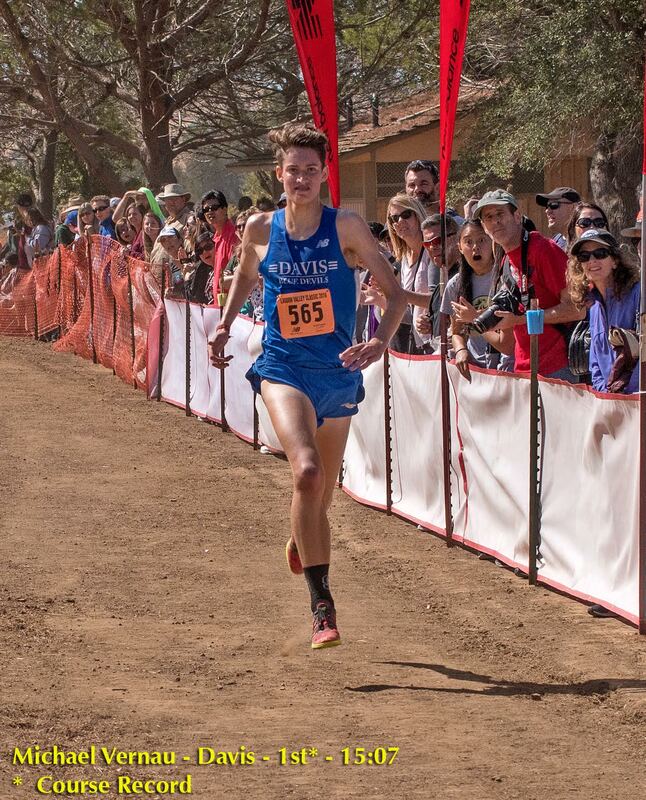 Here are the updated top times recorded on the Monte Vista 2 mile course. 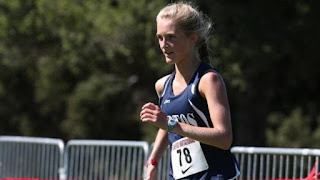 You can check out my interview with Aptos junior, Marea Zlatunich at this LINK. 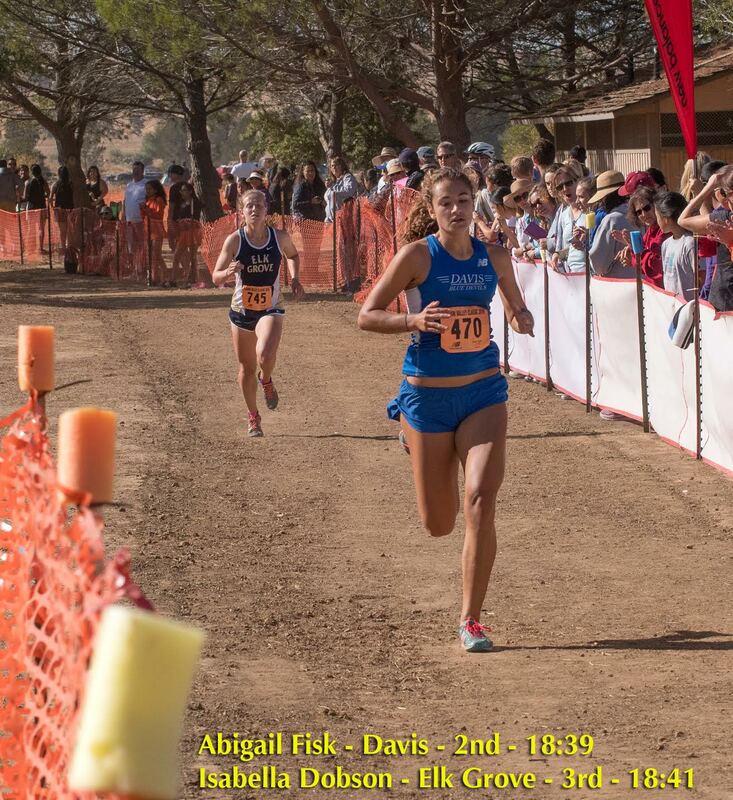 She led Aptos to the 2015 California state meet team title by finishing in 4th place and recording a 17:47.3 personal record. 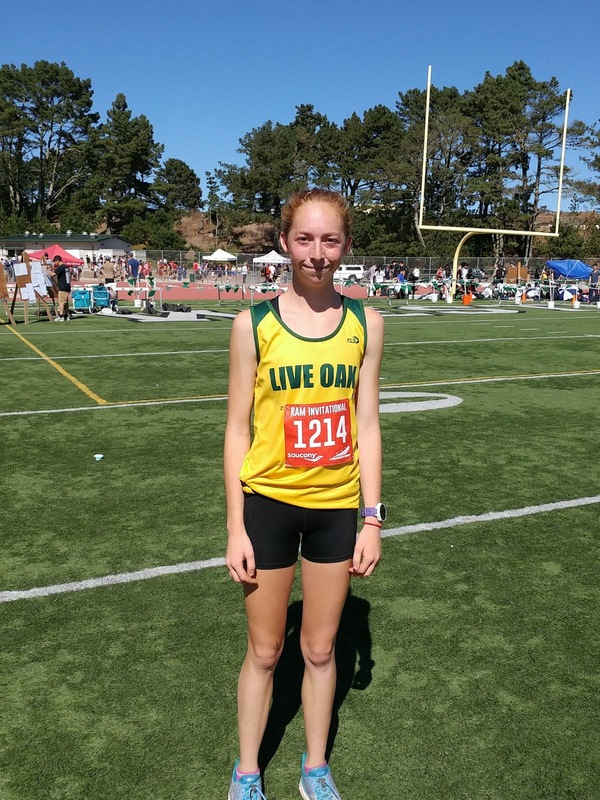 On the track, Zlatunich as personal records of 2:18.43 and 4:55.36. 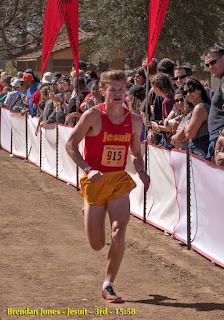 You can find the SJS Divisions at this link. Divisional rankings will be posted by next week. 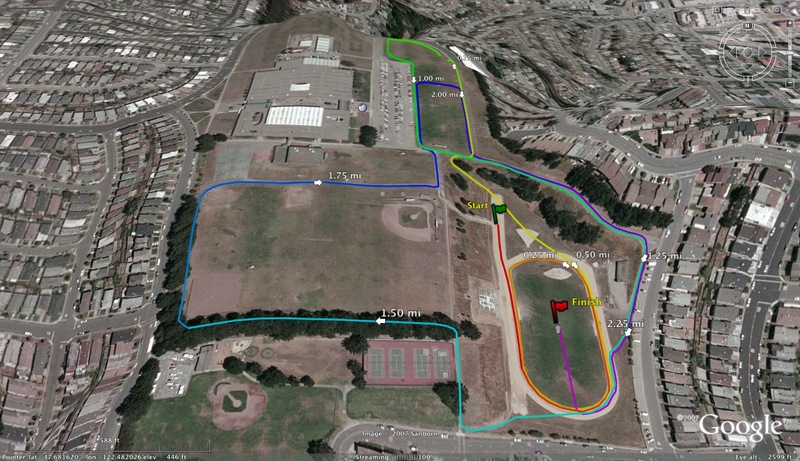 As a reminder, the divisions for each section in Northern California can be found at the links below. 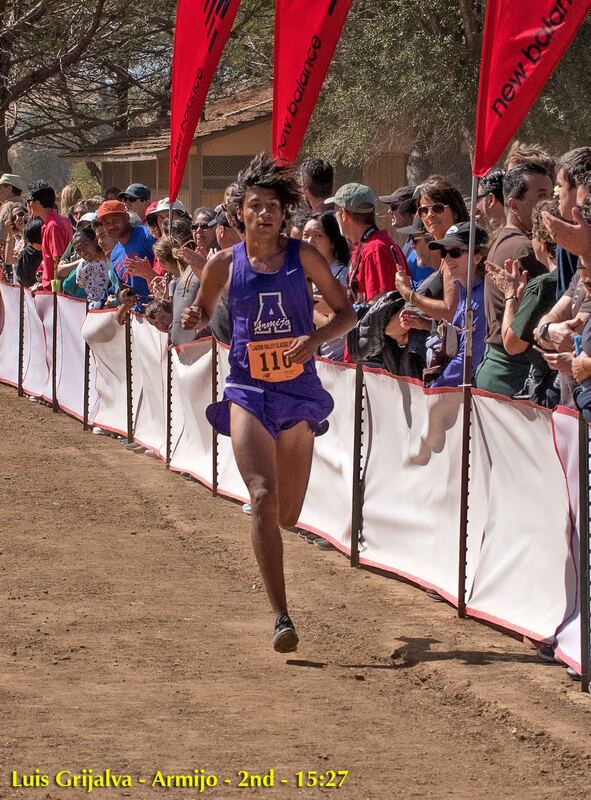 The automatic team divisional qualifiers from each section can be found at this link. If you were present at the race please feel free to comment on any of the individuals and/or teams in the section below. 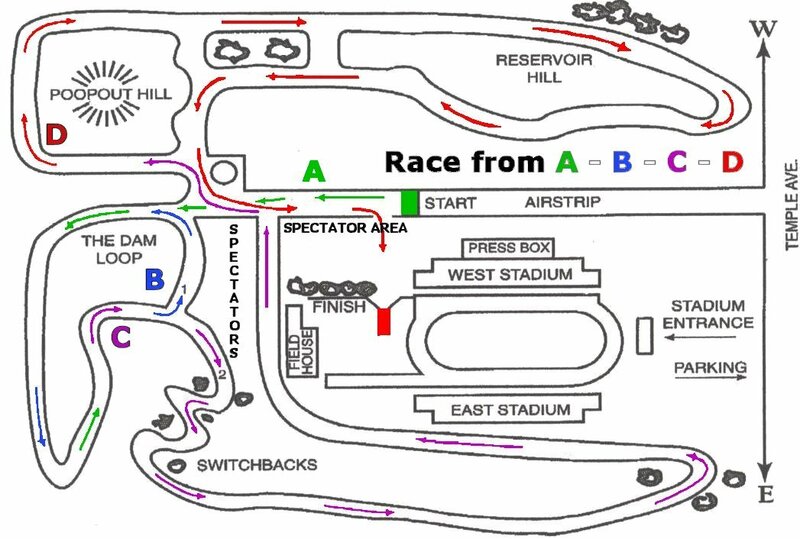 Feel free to comment below on the Saturday's meet and/or if anything is inaccurate or should have been included.